The Croatian football team won the world's heart by putting up a beautiful fight through the world cup. The team is donating their second place prize money to a children's charity. The FIFA world cup came to a stunning conclusion when Croatia faced France in the finals. The team ended up losing to France in the finals. But they managed to win the hearts of the whole world by putting up a beautiful fight throughout the world cup. The Croatia national team are going to donate all revenue they have received during the World Cup to a children's charity. The Croatian football team was welcomed back in their country with great pomp and pride. They made their whole country proud. But the team didn't just stop there. According to Sports Illustrated, placing second in the FIFA world cup reportedly earns the runners-up an estimated £21 million. On Monday, the Croatian football team announced on their Facebook page, that they were going to donate their prize money to children's charity. The team and staff collectively decided to donate their FIFA world cup earnings to underprivileged children so that they can go on summer holidays. The post penned by the Croatian team's manager, Zlatko Dalića, explains that the Croatian football team is asking corrupt politicians "to get away from the football team of Croatia". Because of the rampant corruption in the country, the team decided to deposit their earnings directly into a special fund for the children of Croatia. Two countries I now love..... Croatia and Japan...... Thank you world cup for making me know these two, wish I can live in one. "The Fund will fund the holidays of Croatian children, children who have never seen the Adriatic Sea. 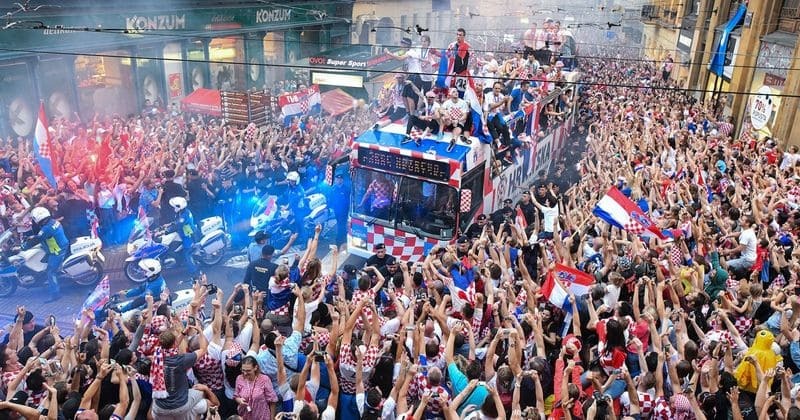 Croatian football players are with the people of Croatia, and they will do what is in their power to help people, besides their victories, in every other way to facilitate a life that is extremely difficult in Croatia," explains the post. This gesture has had people on the internet praising the Croatian football team. Fans pointed out how this was such a positive act on the team's part because it's a matter of pride to be representing your country. People on Twitter were moved by the Croatian football team's selfless act. Thanks to @croatiafootball_team for this work . u r not looser u r win crore humanity mind. wish u good luck. People were quick to point out that the Croatian football team isn't the first to donate its winnings to charity. According to sentimental fans, the England team also donates its earnings to charity. According to fans, the team has been doing this for years. England have been doing this for years but never gets a mention. Nonetheless, people were still moved by the Croatian team's gesture. The world was truly moved by the 'underdog' team's performance in the 2018 FIFA world cup.